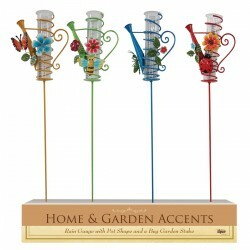 Bring your garden to life with some Alpine Garden Stakes. We carry a wide variety of garden stakes. Whether you are looking for a stationary accent piece or stake that features a thermometer or rain gauge, we have you covered.